Last week the Hallé Orchestra took its audience on an heroic expedition, one that began in the splendour of a Papal Palace before advancing, through the drifting sands of Egypt, to the frozen wastelands of Antarctica. It was a tale of two deserts with each memorably explored in its own unique way. 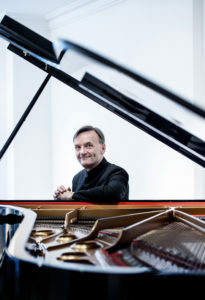 The evening began with a merry run through the orchestral register, the overture from Berlioz’s 1838 opera Benvenuto Cellini, in which Sir Mark Elder demonstrated his customary graceful grip on proceedings and the musical pores of the audience were opened. Next up we found ourselves sailing up the Nile towards Luxor in the company of Camille Saint-Saëns and his Piano Concerto No.5, ‘Egyptian’, a piece which by turns was elegantly delicate and vigorously exhilarating. Soloists come in all shapes and sizes and but, if we’re honest, great skill is often accompanied by a certain taste for flamboyance and showmanship. This in itself is no bad thing. That said, Stephen Hough’s focused, undemonstrative style was a breath of fresh air and his performance at the piano swiftly grew into a towering presence in the hall as his hands, like props on a propeller, became a blur as they flew at the keys. The product of this sublime dexterity was a bravura performance which held the audience spellbound and earned him rapturous applause. However, for the whole of the first half, one could never quite escape the long, looming shadow of the approaching ice sheets. After the interval they arrived in the shape of Vaughan Williams’ Sinfonia Antartica, which was first premiered in 1953 in a performance by the Hallé, under Sir John Barbirolli, at Manchester’s Free Trade Hall. 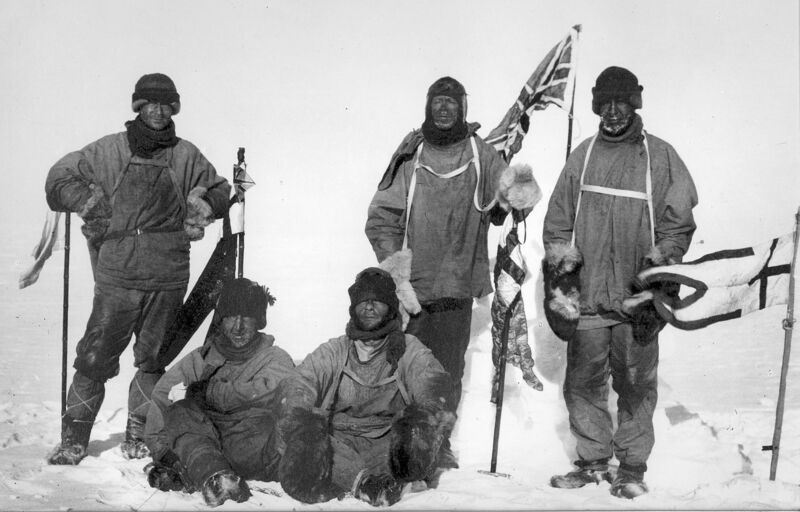 The symphony has its origins in the work Vaughan Williams did for the excellent 1948 film Scott of the Antarctic, which told the story of the attempt to reach the South Pole by Captain Robert Falcon Scott’s ill-fated 1912 Terra Nova Expedition. It’s also a work of genius in which the terrible human fascination with the Antarctic is charted in sublime detail. To achieve this, every orchestral sinew possessed by the Hallé was strained and stressed, leaving the audience in no doubt as to the scale of the undertaking before us. Great and terrible vistas were revealed by the brass section, and the clash of percussion symbolised the collision of vast ice sheets, splintering into endless debris fields that could only be crossed slowly and painfully. Strings spoke of the hallucinogenic nature of the single tone-colour, the endless brilliant white that dazzles, demoralises and gradually disorientates before bestowing its unique form of blindness and desolation. A flicker of warmth was conjured by harp and woodwind with memories of hearth and home, but even here, buried within the glacial flow of the notes, was a deeper call to surrender to a slide backwards in time, all the way back to the Miocene and to the oblivion of the 15 million years of ice and snow beneath out feet. The awfulness of that place, which from the moment you set foot in it never ceases trying to kill you, was invoked with magisterial skill by the soprano Sophie Bevan and the Ladies of the Hallé Choir. Their siren call was the ethereal arctic winds trying to woo us from our seats and into the eternal, alien embrace of the ice lands. Great God, this is an awful place. Sinfonia Antartica is a masterwork, a testimony to the power of nature and its ability to transcend human notions of time along with our attempts to set the terms with which we seek to define both. And yet, implicit within every note there is also a testimony to another indomitable force, that of human imagination and human endurance. In its splendid performance of Williams’ symphony, the Hallé did honour both. 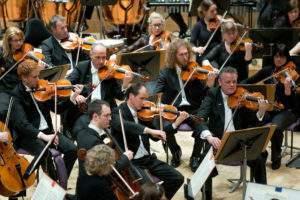 The concert was broadcast on BBC Radio 3 on January 28 at 7.30pm. It is available on BBC Sounds.